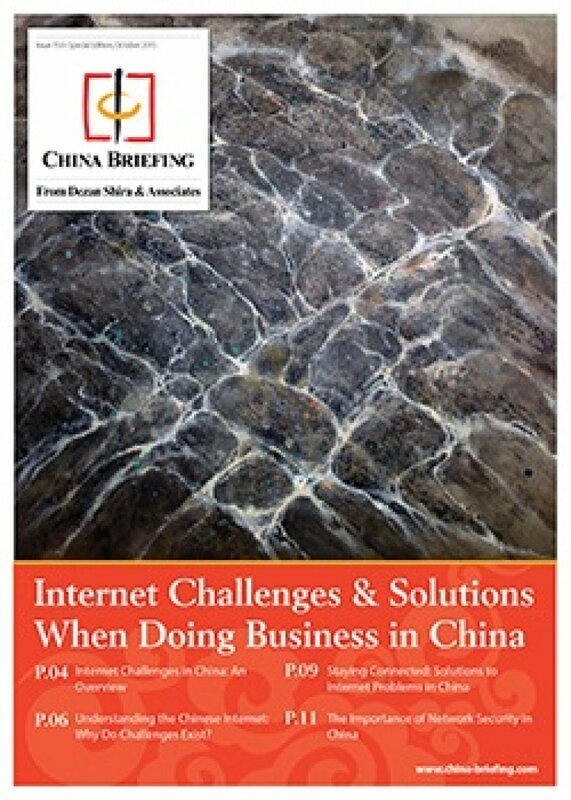 In this special edition of China Briefing magazine, we highlight how and why foreign companies will be negatively affected by China’s internet, and provide methods to help solve these problems. We discuss ISP selection, internet connection types, CDNs and VPNs, and internal control systems. Finally, we examine the importance of network security in China and how it can help augment a company’s internet connection. Understanding the Chinese Internet: Why Do Challenges Exist? However, the rising fortunes of China’s e-commerce sector are not reflected in the quality of its internet; a fact that any foreign firm with a presence on the ground here will undoubtedly be aware. There are numerous problems with China’s internet that can either hinder or outright prevent various business operations, including digital marketing and data communication, and thus limit how effective a China operation can be. As internet penetration in China continues to spread, understanding the country’s internet systems and setting up structures to help boost online connectivity will be increasingly important. With our specialized knowledge in IT services, Dezan Shira & Associates can help guide foreign companies through these processes.